Do you have a Smartphone? If yes, then you are already using Whatsapp. Whatsapp is the biggest free social messaging tool to connect with friends, family and even with clients. But have you ever dream about a professional messaging app. Here comes the VentureApp. VentureApp is a Boston based company. It is for professionals and for business chat. It helps to boost opportunities with prospects and partners to strengthen professional relationships. 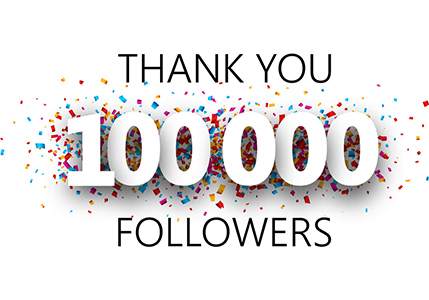 Once you join this app, you can easily find the professionals already using this app or even invite others to join this professional chatting app. VenureApp has decided to invest $4 million to boost its app and become number one. There are getting investment from Boston seed capital, Fullstack Ventures etc. The aim of this investment is to make VentureApp the hub of mobile and online chat for business needs and professional contacts. Companies are already using VentureApp to find professionals for various purposes. But what people like most in this App is the professional messaging feature. They are actually double down the messaging system. As there is no professional chatting app available in the market so chances are that they will always be on the top of this niche. Right now most of the professional use LinkedIn and Facebook, this makes Facebook app and Whatsapp grow quickly. LinkedIn has its own messaging system, but it is always full of unsolicited and spam messages. Read More : Facebook Launches Product Ads, A Possible Threat To Google? VentureApp is planning to offer a better platform for professional needs. You can easily join this network using your LinkedIn account, or Gmail account or email address and then invite all the people who are already on your network. You can very easily upload your contacts. After doing that you can chat with them in very professional environment. 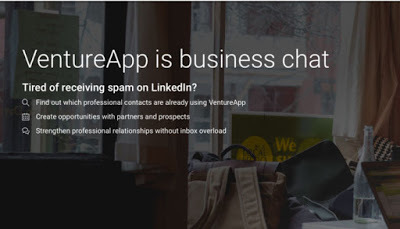 VentureApp is going to save you from the spam and unsolicited messages that you get on LinkedIn from businesses. Chat services are opt-in. You cannot receive the message from a person or business until you chose to accept the message from that person. Do you know that LinkedIn makes money by allowing businesses to send messages and search their network. But VentureApp has different plans. They are charging from businesses. This funding is definitely going to give them a huge boost and we can hope to see more and more additional features in VentureApp in coming days. Have you ever used VentureApp? Which chatting app you are using for professional purposes?